Starting back to writing, that is. 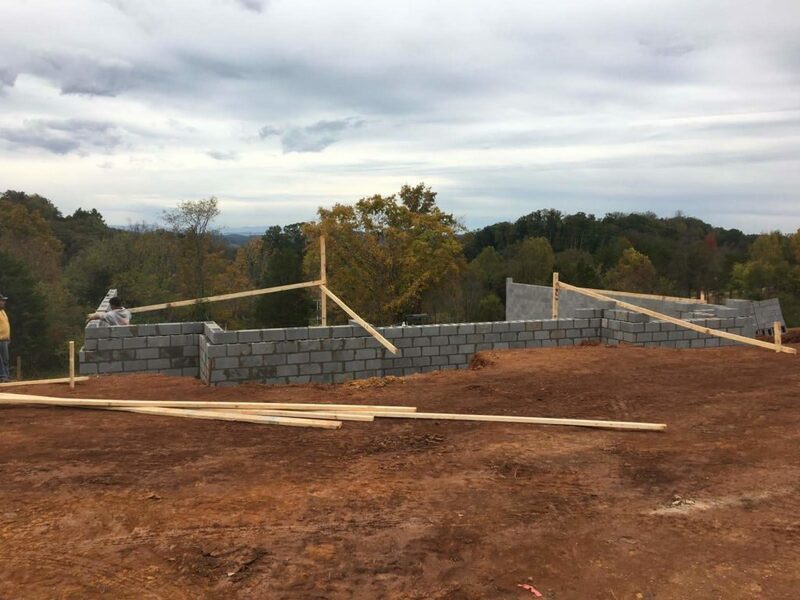 The house is moving right along, and we now have basement walls! 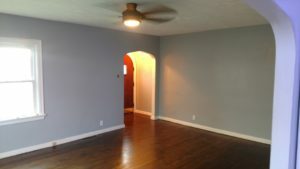 There’s no back wall because it’s a walkout basement. These are very common in the Knoxville area, because it’s very hilly. Traditional, full basements are not common in that area, probably for the same reason. We went with a block wall basement because, according to our builder, it’s about half the cost of a poured concrete wall. And they’re just as good as long as they’re waterproofed correctly (our current house also has a block wall basement). 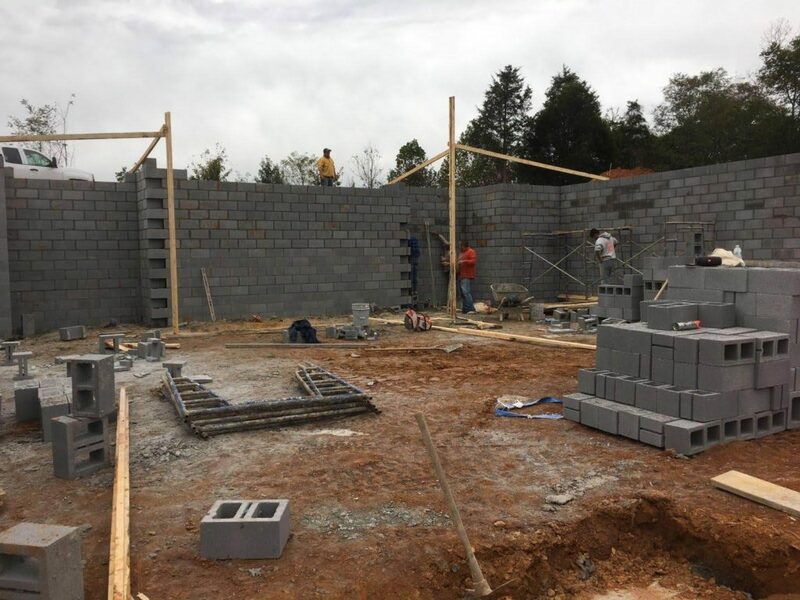 Once the walls are done, they’ll pump concrete into the interiors–the cost savings come about mainly because block walls don’t require forms. Next step (I believe) is to put the plumbing in. There is a kitchenette and two bathrooms in the basement. The builder won’t be putting these in–we’ll finish it ourselves later–but they will put in drain pipes before pouring the floor. What I’ve Been Reading: I wanted to read some more of the great big paper TBR pile, so I pulled out Heart Dance, by Robin D. Owens. I used to really love this series–actually, I don’t know why I haven’t read any in many years, because I really enjoyed this one. What’s funny is a few chapters in, it started feeling really familiar. At first I put that down to there being a lot of similarities between the books in this series. They don’t need to be read in order, and are each about a different couple, but they’re in the same world and a lot of the same magical things happen to each couple as a result. But then some of the things from the main character’s backstory starting feeling familiar too, and I remembered a pivotal scene that most likely came from this book and sure enough, I’d read it before. Funny thing was, I didn’t remember much about it besides those familiar details and that one scene, though I knew the couple would end up together because duh, it’s a romance. 😀 I still enjoyed it, including the way the ending came about! It was probably 8-10 years ago that I read it, and given the number of books I read, I guess I can take a pass for not remembering. One thing it did was remind me how much I enjoy the series and its world, and make a point to check out the half dozen or so books in the series I know I haven’t read. The first book in the series, Heart Mate, was RITA Award winner, way back in 2002. If you like fantasy romance with a bit of sci-fi tossed in, I highly recommend it! What I’ve Been Writing: My brain’s still stuck on house stuff, so I almost forgot about my goal until last night–11:52, to be exact. So I opened up my WIP and wrote a few paragraphs, helped by the looming deadline I’d set for myself. So, a slow start, but goal met! If it hadn’t been late and I hadn’t been about ready for bed, I would have written more, as it was fun. I wrote a little over 100 words, so this week, I want to continue that, and write at least 100 words, for at least five days. What about you–how are things in your world? Have you ever picked up a book you thought was new to you, only to find out it wasn’t? My mother-in-law used to do this often enough that she started making a list of everything she read, and she’d check it before buying new books. I do this too, but didn’t start until after I read Heart Dance the first time. How are you doing on whatever goals you might have? I’d love to hear from you–please share in the comments! Jennette Marie Powell writes stories about ordinary people in ordinary places, who do extraordinary things and learn that those ordinary places are anything but. In her Saturn Society novels, unwilling time travelers do what they must to make things right… and change more than they expect. You can find her books at Amazon, Barnes & Noble, Smashwords, Kobo, iTunes, and more. It’s been a week of catching up on things after several busy weekends, and of harvesting. Last week, I had family over to celebrate three birthdays–my daughter’s, my brother’s, and my dad’s. All went well and we had a good celebration. The Black Forest cake I made with homemade cherry pie filling was a big hit, and was requested for all future parties for these three, as it’s when cherries are in season. The tomatoes have had no such issues, and have been producing like crazy, especially the Beefmaster. 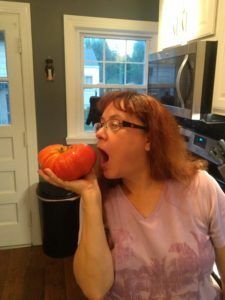 One tomato was bigger than my hand! Okay, my hands aren’t that big, but still! We ate part of it in a big, salmon salad tonight, and even then, the rest almost wouldn’t fit into the food keeper we had. Tennessee Update: Nothing new here – still waiting for the bank. The loan originator tells us they’re waiting on the title company. It’s frustrating, because we just went through that exercise a year and a half ago when we bought the land, and the title was clean then. But the banks always have to dot every “i” and cross every “t.” Hope to get a closing date this week! What I’ve been Reading: Still not done with that novel, but not because I’m not enjoying it. The reason? Because it’s paper! I have tons of paperback books I’ve collected over the years, mostly conference freebies, but some gifts and some I’ve bought. I noticed one of the latter a couple weeks ago as I was thinking it’s waaaaaaay past time for a newsletter, and a giveaway. Then I realized I hadn’t read that book, and decided I really needed to go through the paperbacks and read some before I give them away or move them. See, ever since I got a Kindle four or five years ago, I much prefer ebooks. The main reason is that I like to read fiction in bed, before I go to sleep, and with ebooks, I can read in the dark. Sometimes I go to bed first, sometimes my husband does–and if that’s the case, reading with a light is a total non-starter. But I do have a bunch of paperbacks I want to read, so I’ll just work through them slowly on the nights I go to bed first. I did finish another ebook–or e-magazine, rather: Fiction River: Editor’s Choice, edited by Mark Leslie. These are anthologies of short stories, usually with a connecting theme. This issue was different–it was mostly stories that didn’t make it into one of the themed anthologies for one reason or another, but were too good not to publish. And indeed, there were none I skipped in this issue (no present tense, yay!). A wide variety, from superhero YA to a far-futuristic, to very modern-day, slice of life. If you enjoy short stories, I’d definitely recommend Fiction River. 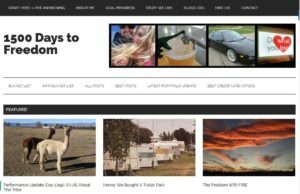 What I’ve Been Writing: My goal last week was to get back on my WIP, and write 100 words a day. Well, I missed a couple of days–really, I should have allowed for that–but I overshot the 100 words without a problem on most days, and wound up with a total of 900 for the week. Doesn’t sound like much, give that I can write that much in an hour if I get going on it, but with so much going on, and just getting back to the WIP, I’ll harvest those 900 words as a win. For this week, I’m going to shoot for an even 1000 words total, however it breaks down into number of days written. How about you–have you harvested anything exciting lately? Have you read anything good recently? Do you prefer to read print books, or ebooks, and why? And how are you doing on whatever goals you might have, writing or otherwise? Please share in the comments–I’d love to hear from you! 2017 has been a long and busy year. A lot has happened, but not much writing. Probably the biggest event was my daughter’s graduation from college, and subsequent moving out on her own. She has a job she loves in higher education administration, and though we miss having her around (she lives about an hour’s drive away), we couldn’t be happier for her. 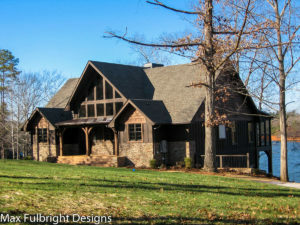 Some of you might remember that my husband and I are planning a move from Ohio to Tennessee, with building a new house. You might have guessed that I’ve been away because of that. But (sigh), that’s not the case. I’m still in Ohio, and still haven’t started building. And that’s OK. 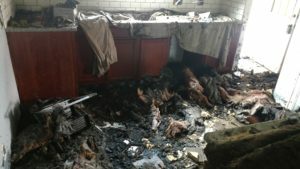 So to catch up on that, we got a few quotes from builders last spring, around the time I last posted here. Three builders gave us ballpark estimates that were pretty close to our budget, so all looked so far so good. Then they got back to us with detailed estimates. All were 50 -60% higher! We figured out that 1) the economy is good, so there’s plenty of work and 2) many of them are doing insurance rebuilds in Gatlinburg, so they’re extra busy. However, they’re happy to take on another project for the right money. That kind of money is not in our budget. So back to the drawing board there. We considered downsizing the house by making the garage in the lower level–not really what we wanted. 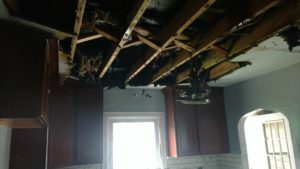 We considered being our own general contractors–we’ve done so on some pretty large remodeling projects, and my parents built two new houses years ago being their own contractors. But they built locally–we’re 300 miles away, so being our own GC would mean having to stay down there during construction. Also not what we wanted. 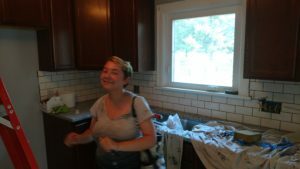 Our new rental house – isn’t it cute? I fell off the wagon keeping track, but I continue to read every day. I’ve been trying to read more nonfiction, too. 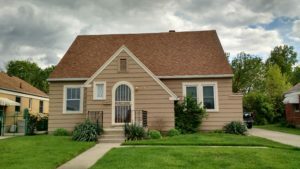 Most of it is either personal finance or business-related, or is about home building. I finished a novel and a non-fiction book on New Year’s Eve. For fiction, I read Pure Sacrifice by Jami Gold. I enjoyed her free short story in this paranormal romance series, so I bought book 1 earlier this year. I liked it, and a couple weeks ago I needed something to read and nothing on my Kindle jumped out at me, so I bought book 2. This series (the Mythos Legacy) has all the ingredients to a satisfying paranormal romance, but isn’t the same ol’ same ol’. In book 1, it was the heroine who was the paranormal character (usually, it’s the guy). In this book, it was the guy, but he was a shapeshifting unicorn–pretty different! The worldbuilding was nicely in-depth but not intrusive or info-dumpy, and the characters were engaging. I’ll definitely be picking up the next in the series. In non-fiction, I read The Magnolia Story by Chip and Joanna Gaines. For those not in the know, they are the hosts of HGTV’s Fixer+Upper, which is probably the most popular reality home show right now. I love their show, and really enjoyed reading about how they got their start in their various businesses to how they wound up with a their own TV show. This book pulled me in right away and kept me interested throughout, and I was sorry to see it end. 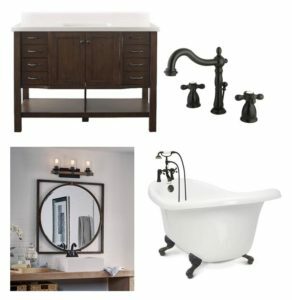 Highly recommended to anyone who enjoys Fixer+Upper! While I did make progress on my next Saturn Society time travel novel, writing just wasn’t on my brain for most of the year. I did not complete any projects, and did not have any new releases. I want that to change this year. I figured out what happens next in the novel, and I’m excited to get back to it. Hence, I’m participating in ROW80 to keep accountable. ROW80, or A Round of Words in 80 Days, is “the writing challenge that knows you have a life.” We can set whatever goals we want for the challenge. Mine will be a stretch for the first quarter, which will end in late March: I want to finish the novel. It probably needs 20,000 more words. When I take the time and know where I’m going, I can write 1000 words in about an hour or so. The catch here is that I don’t completely know where I’m going with this book, so that’s going to be a stretch. I used to outline, but that grew to be less helpful as I progressed as a writer, as I believe one should always feel free to deviate from the outline when a better idea comes along for a story–and for me, it always does. Also, I need to get a newsletter out this quarter, as it’s been way too long since I’ve done that, too. This week’s goal: I haven’t written since early November, so I’m going to do a full cycle-back and read the book from the beginning. It’s around 100,000 words at the moment (yes, I write long books). If I do that, hopefully other good ideas to wrap it up will come in the process. This post is already getting long (so much for keeping it short) and I have a lot to do today, so I’ll continue with the house sagas next week, and post an update on my goals. How was 2017 for you? It was mostly good for me! If you watch TV, do you like Fixer + Upper? (One thing I found interesting is Chip and Jo have not had a TV since they got married–no wonder they have time to do so much!). If you’re a writer, what kind of goals do you have for this year? How are you doing so far, one week in? Please share–I’d love to hear from you! 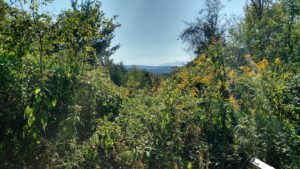 Last week, we closed on our property in Tennessee. It’s now ours! Part of me still can’t believe it, especially when we went there the following day and it’s even more beautiful than I remembered (that photo does not even come close to doing it justice). We met with our builder the afternoon we closed. He’s a friend of a friend, and we really liked him. He gave us a tour through his current WIP, a 12,000-foot monstrosity being built for a fraction-of-a-1%er who’s moving there from California. Amazing! And a major testament to our builder’s (and his trades peoples’) work. He wants to start on our house when he’s done with the current project, probably in April or May. Things are moving along! What I’ve been reading: Not going to name the book today, because I don’t have much good to say about it. I picked it up because it’s based on a computer game I recently got sucked into, and it was free. The only reason I finished it was because it was short (a novella), and there were just enough references from the game to keep it mildly interesting. Otherwise, the poorly-developed characters and lack of depth would have had me putting the book down a couple chapters in. There was also an amateurish feel to the writing. I don’t expect a literary masterpiece–I read mostly genre fiction, and simple, workmanship writing is normally fine with me, but this was lacking something more that I can’t quite put my finger on. Most of the reviews mentioned things like this, so it wasn’t just me. On to better things! Writing/ROW80 update: As you might guess from my first paragraph, my mind has not been on the writing. Also, we’ve been a bit under the weather here–between our closing, meeting with the builder, and a little walking over the land in Tennessee, we spent most of our weekend there taking it easy at the hotel. Nothing major, just a bad cold/mild flu that took a while to let up. We’re better now, but it’s been slow going. So no, not much has happened on the writing front, other than me working through a couple more sections of The Story Toolkit. I’m not expecting much more this week, as I have to collect all our tax stuff for the accountant, whom I have an appointment with next weekend. But I’ll do my best to spend a little time on The Story Toolkit each day, and see how that works. What about you–read any stinkers lately? Or how about good books? Have you and your family managed to keep healthy? Seems like everyone I know has had that cold going around here! What else has been going on with you, and how are you doing on whatever goals you might have? Please share in the comments–I’d love to hear from you! I’m talking about reading–but of course! It doesn’t make you gain weight. It isn’t mindless. It can even encourage physical activity–for example, I stay on the treadmill longer if my book is really good. For the most part, this week’s been uneventful, and that’s fine with me. I had a chance to read a lot while waiting for a doctor’s appointment (a doctor I’m not planning to go back to, because of that). I didn’t get as much writing done as I wanted, though I can’t really blame the reading for that. My fatigue’s been acting up a bit, so I did more lying around watching TV than I’d have liked. Critter Update: On the good news front, I have not had to go back to the vet’s office–so far, my gerbil Spaz has not resumed chewing his foot, and it’s finally starting to heal. 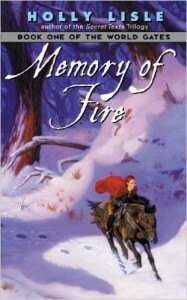 What I’ve Been Reading: Memory of Fire, by Holly Lisle. This is the book I happily devoured last week. 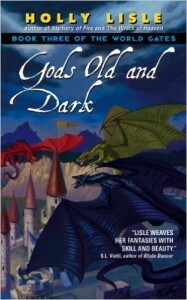 It’s the first in her World Gates series, a blend of contemporary and epic fantasy. And it’s so awesome, I decided to do something I can’t remember ever doing before: I immediately bought the next book in the series. Usually, I read a few other books before going back to a series, but I know a lot of people binge-read, so I figured this was the series to try it out on. These books feature likeable, relateable main characters, and they’re massive in scope and stakes: not only one world’s fate hangs in the balance, but many. These are richly-developed worlds where everyone, including the bad guys, is fascinating and even they draw sympathy. 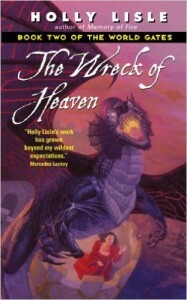 I fully expect to pick up with the third as soon as I finish with the second, The Wreck of Heaven, which I’m reading now. ROW80 Update: I did finish the scene started last week, but instead of revising the next two, wrote another (short) new one. So… a semi-win, I suppose. For this week, a third (very short) one is next up, then finally I plan to get back to revising the existing material. I have my writers group meeting coming up next weekend, and some other stuff going on, so I’m going to shoot for just one edited scene. What about you–do you binge-read? Or binge-watch TV series? (I’ve never done that, either). Have you read any good books lately? And how are you doing on whatever goals you may have, whether writing or otherwise? Please share in the comments–I’d love to hear from you!